Pima County’s Summer Youth Employment Program is accepting applications from youths age 14-24 who want to work this summer or catch up on school credits. Pima County partners with several local agencies to offer the placements to students. The two sessions the county offers are May 30-June 30 and July 3-July 28. Note that not all ages may be eligible for every summer program included within the application process. Youth must be age 14 to 24 by March 30, 2017. Deadline to apply and set up an assessment test is Friday, March 10. Youth can apply online at www.pima.gov/summeryouth or pick up an application form at a local high school, community center or library. Applicants also may call 724-9639 for more information. The program is sponsored by Pima County’s Community Services, Employment and Training Department and ARIZONA@WORK-Pima County. Depending on funding levels, between 1,100 and 1,500 young people in Pima County can gain valuable experience while working for Pima County, the City of Tucson, the University of Arizona and dozens of participating local businesses. The pay is the Arizona minimum wage of $10/hour. The jobs they perform vary widely, from outdoor labor to clerical to retail. Virtually all industries are represented, including public, private, non-profit and for-profit organizations. Salpointe Catholic High School student Nathan Lundin spent the summer as an intern at the John Valenzuela Youth Center. Their objective is to guide and empower youth through recreational and educational programs. He said the best part of the job was having fun with the kids. Jobs with the Department of Transportation or Regional Wastewater Reclamation Department involve outside manual labor. Applicants for these positions will be placed in a special pool of applicants, which may increase the chances of being selected for a summer job. The Summer Youth Programs also include basic education, in which young people can earn elective high school credit through learning in math, reading and writing. Work hours range from 20 to 40 hours per week. Placements range from four to seven weeks depending on the specific work or education program. Positions are limited. The county received more than 4,500 applications last year, said Daphanie Conner, program manager. Program participants are selected based on their applications, assessment scores and work interests as well as available funding, applicant program selections, geographic area, employer/worksite requirements. Participants attend a one-day “employability skills” workshop, where they learn about good work habits and employer expectations, before they go to work. 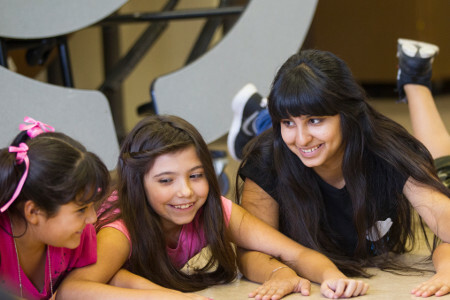 For more information, call the Pima County Summer Youth Programs Hotline at 520-724-9639.